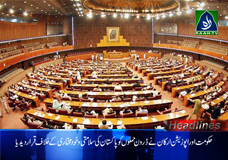 Drone attacks violate Pakistan’s sovereignty, Opposition members. Jamatud-dawa protests against drone strikes. Israel released Hamas leader Dr. Muhammad Ghazaal after 2year prison.